Bostock New Zealand Owner John Bostock and Mr Apple CEO Andrew van Workum. 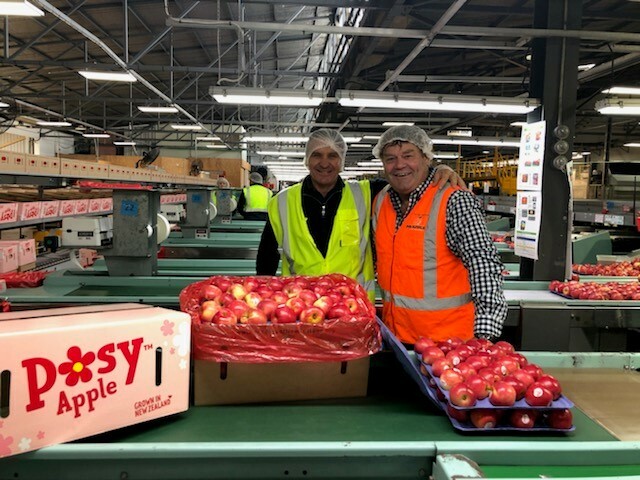 New Zealand’s two big apple growers have just launched the country’s sweetest apple to the Asian markets, with first shipments arriving in China this week. 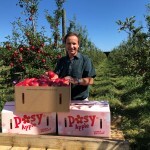 The new Posy apple, which is now one of New Zealand’s first available apples is popular in China as there is a demand for higher colour, sweeter apples. Bostock New Zealand and Mr Apple have teamed up to exclusively grow and market the Posy Apple. 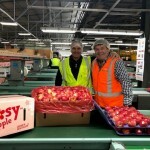 Bostock New Zealand Owner John Bostock says it’s very exciting to finally have enough volume to export as the apple has taken about 20 years to develop. “We wanted to breed an apple which would be ready early for our Asian market. The Posy apple is harvested early February and ahead of most other New Zealand apple varieties. Mr Bostock said the new apple was bred in Havelock North by apple breeder David Cranwell who has been in the apple industry for fifty years. The Posy apples parents are New Zealand Rose and Royal Gala, both popular, strong flavoured apples bred in New Zealand. “Teaming up with Mr Apple to exclusively grow this new apple variety means we can offer a wide range of customers throughout the market and take advantage of each growers strengths and especially our organic experience and offering,” says Mr Bostock. 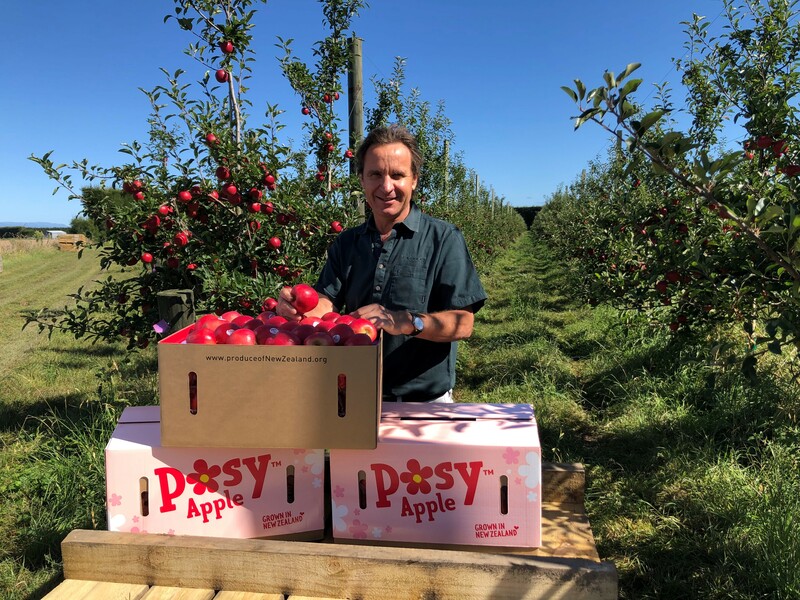 “This is the first year we have had any reasonable volumes of Posy to export and it’s great to be able to offer apples that are specifically tailored to the Asian palate. The China market is still small for Bostock New Zealand and awareness of the organic category is developing. Mr Bostock says new, exciting varieties are appealing in Asia and are helping grow the market there.